Vinexus is one of the leading wine online retailers in Europe with several shops for different countries. We are renowned for our unique and diverse wine portfolio of more than 6000 wines, our very fast deliveries and fair price policy. Excellent customer service is our highest priority! 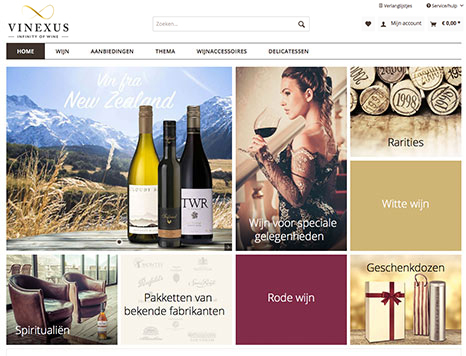 Enjoy your wine shopping experience and your wines with Vinexus at www.vinexus.nl!